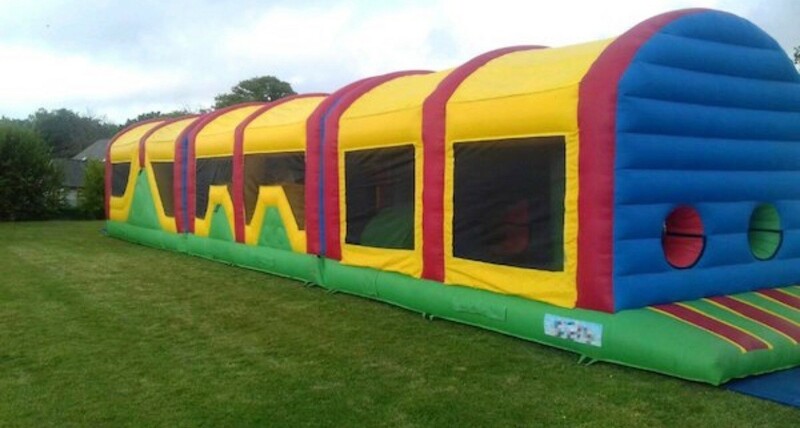 60ft Multi Coloured Obstacle Course. A frantic race to the finish through 60ft of an obstacle course with jumps, ladders & slides aplenty! This super long Multi coloured Obstacle Course is a laugh a minute, frantic race to the finish through 60ft of an obstacle course with jumps, ladders and slides aplenty!